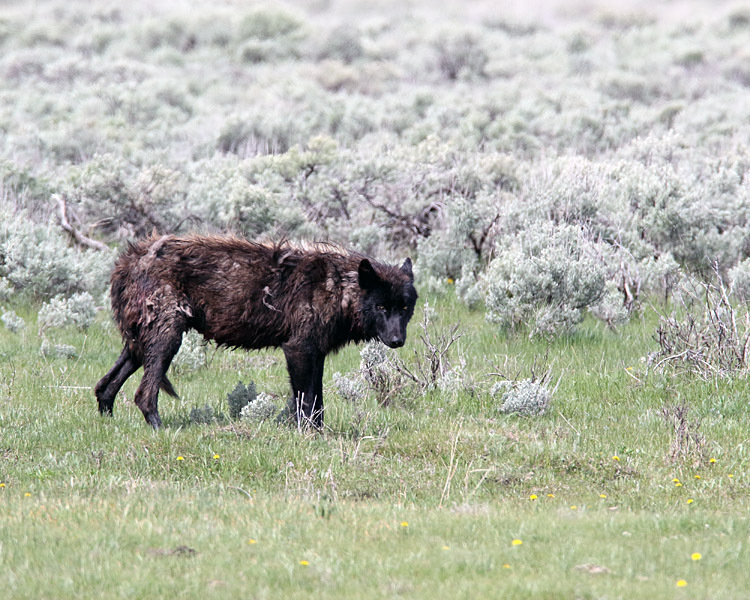 This Mollie yearling made the mistake of trying to sniff around a Junction Butte carcass in the Lamar and they beat the crap out of him. He lived, but he was hurting for a while. These are amazing shots. 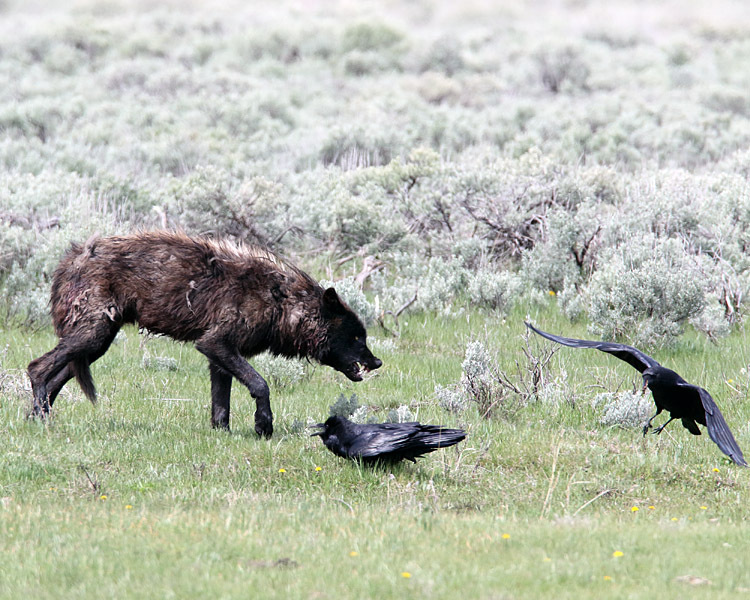 I was starting to feel protective of the injured wolf until I saw his fangs in the image with the ravens. . . What kind of lens were you using? The ravens were nosing around his puke. He puked several times. 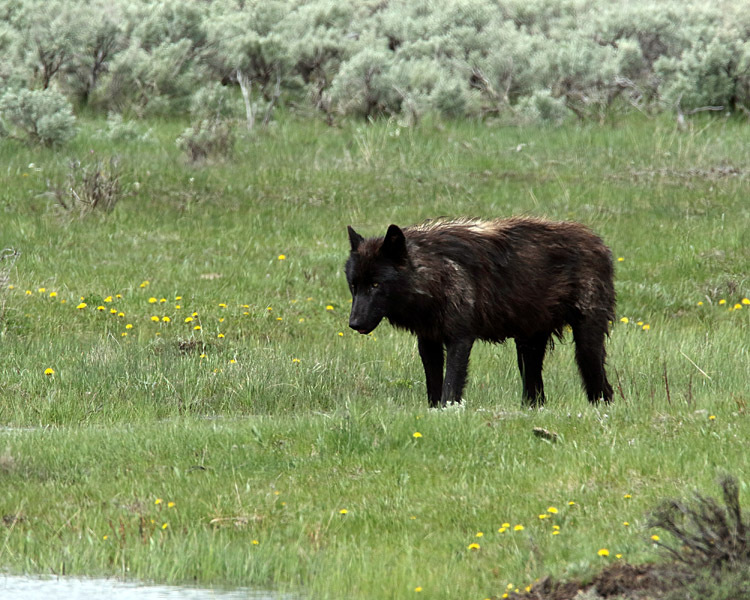 I was using a 600mm f4 with a 1.4X TC. Was this the injured one from the fight?